Ring Charm Details: 3 ring charms with the 'I Love You Today', 'I Love You Tomorrow and 'I Love You Forever' inscriptions. Each charm features round cut pink sapphires, of exquisite color and a textured finish. 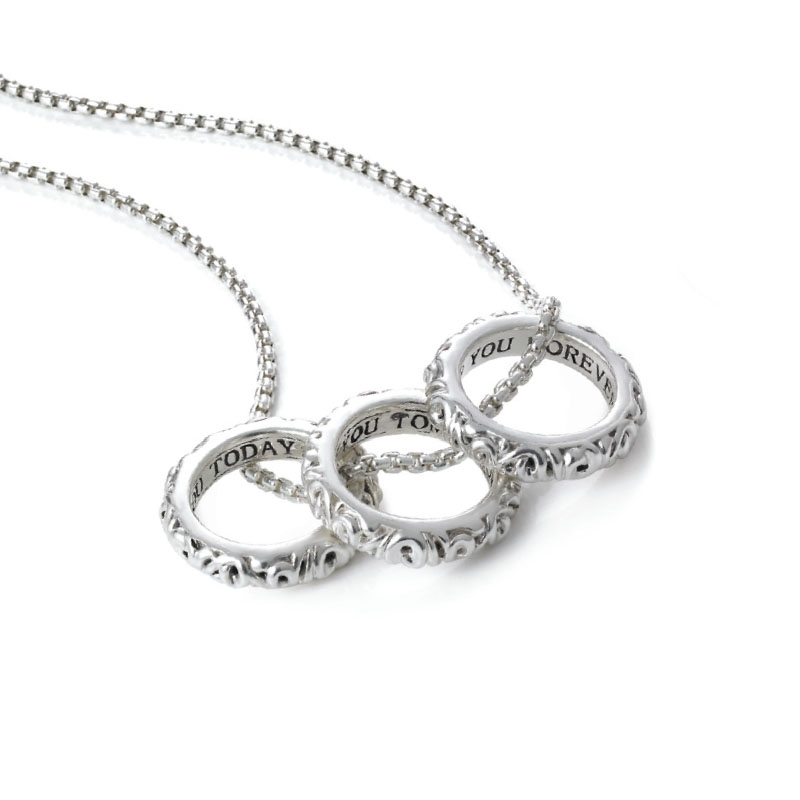 Chain Design: Charles Krypell sterling silver Ivy bead necklace design. Chain Measurements: Necklace measures 21 inches in length. A brilliant gift idea, this Charles Krypell sterling silver ring charm necklace features 3 ring charms with the 'I Love You Today', 'I Love You Tomorrow' and 'I Love You Forever' inscriptions. Each charm features round cut pink sapphires, of exquisite color and a textured finish. Ivy bead chain measures 21 inches in length. We are an authorized Charles Krypell dealer. Please call for pricing 1-800-790-6980 or 1-212-302-2863.